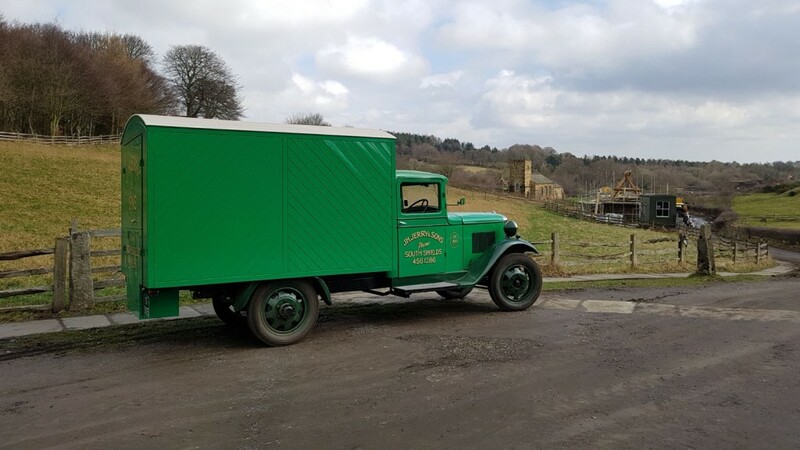 Below: The rebuild of the Morris Commercial has now finally been completed. 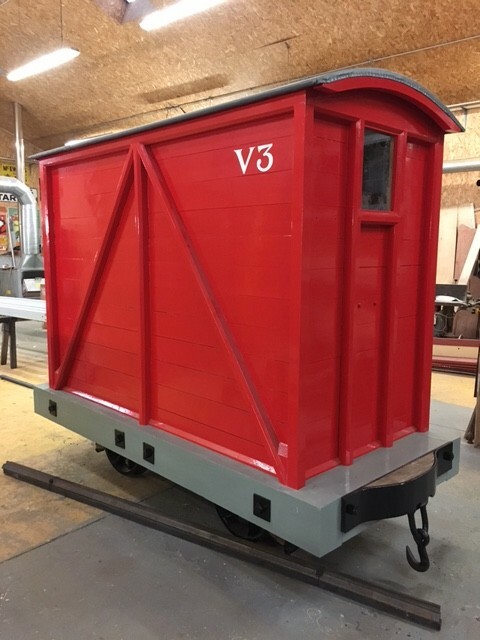 This included an extensive engine/mechanical overhaul, a lot of cosmetic work, fitting of a new body and it being fully repainted and sign-written. 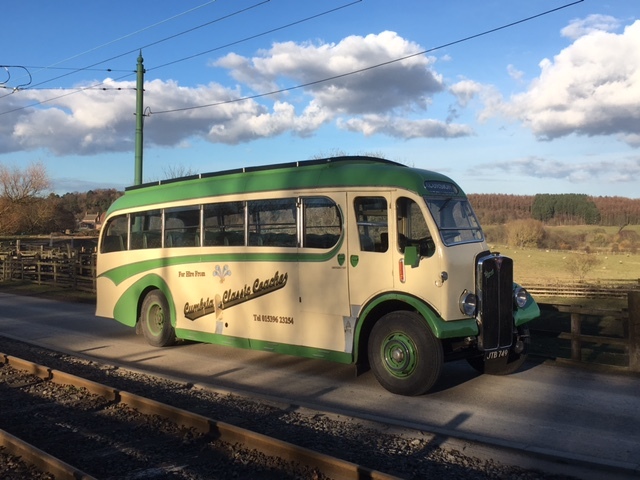 The original donor’s livery has been retained, as can be seen here. 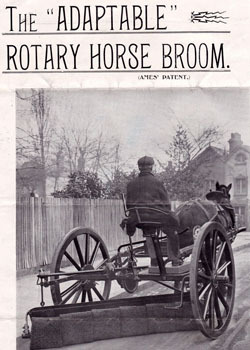 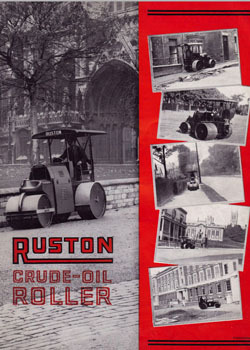 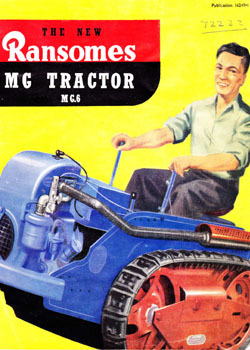 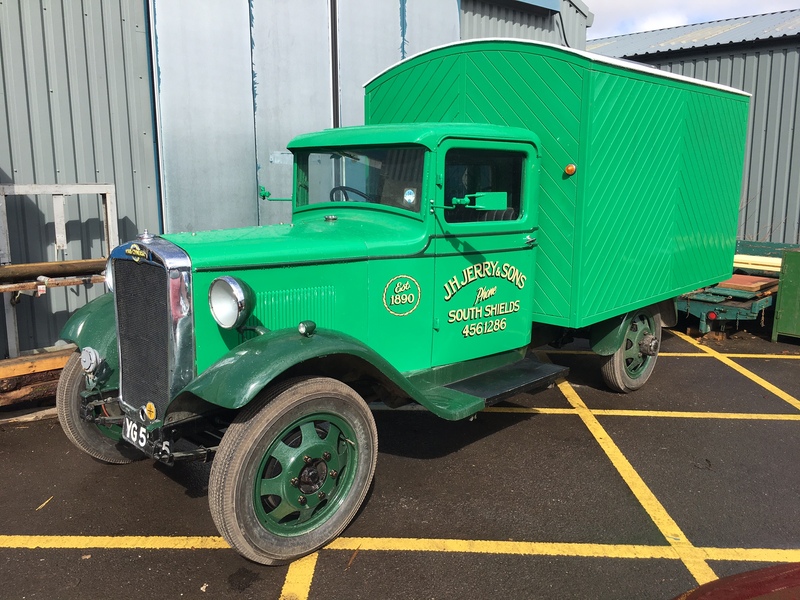 It will be used by the site handymen so will continue to earn its living, despite dating from 1933! 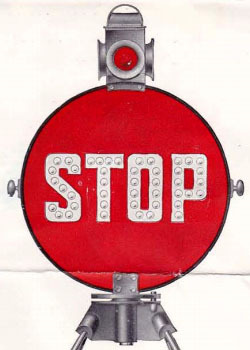 The indicators are a feature on the body that I think may disappear in time…! 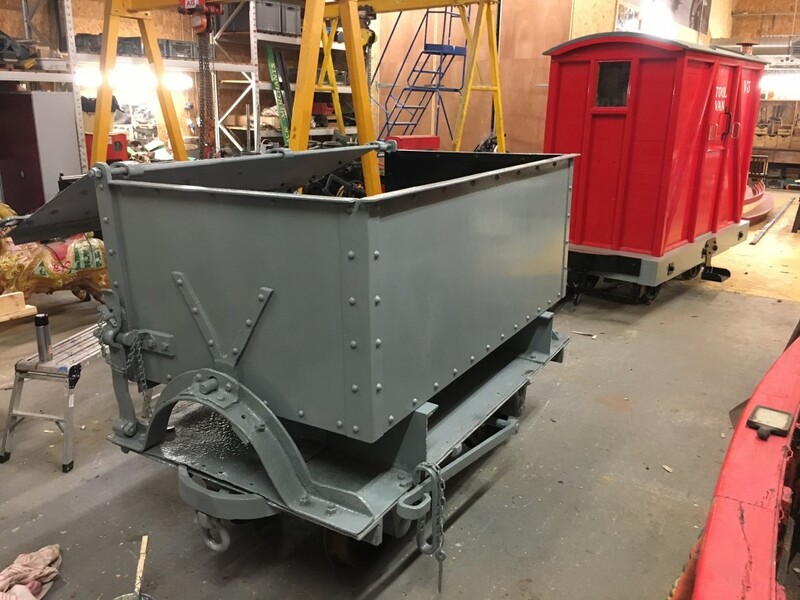 Below: Down in the Colliery David Grindley is awakening the locomotives from their winter slumber. 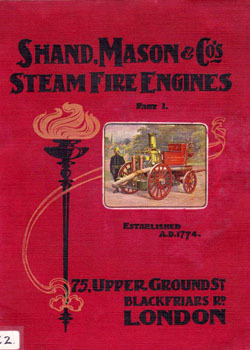 Here is Coffee Pot No.1. 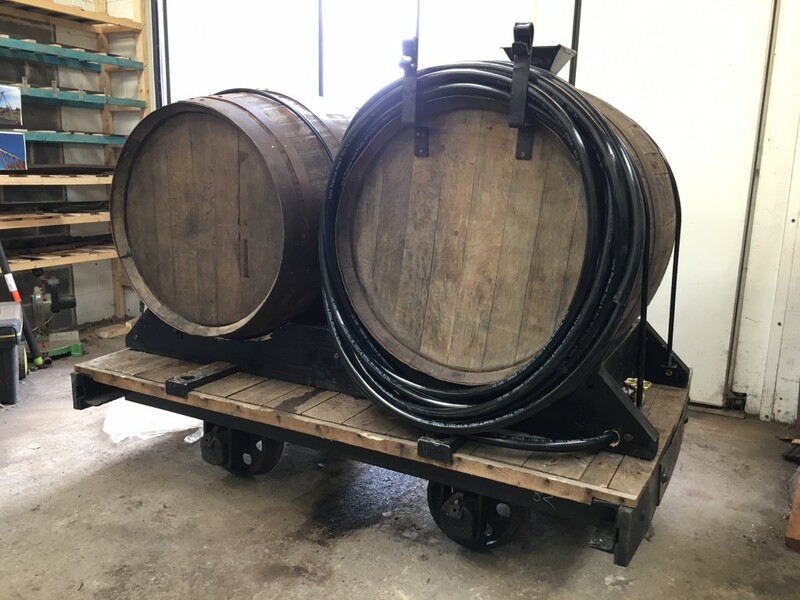 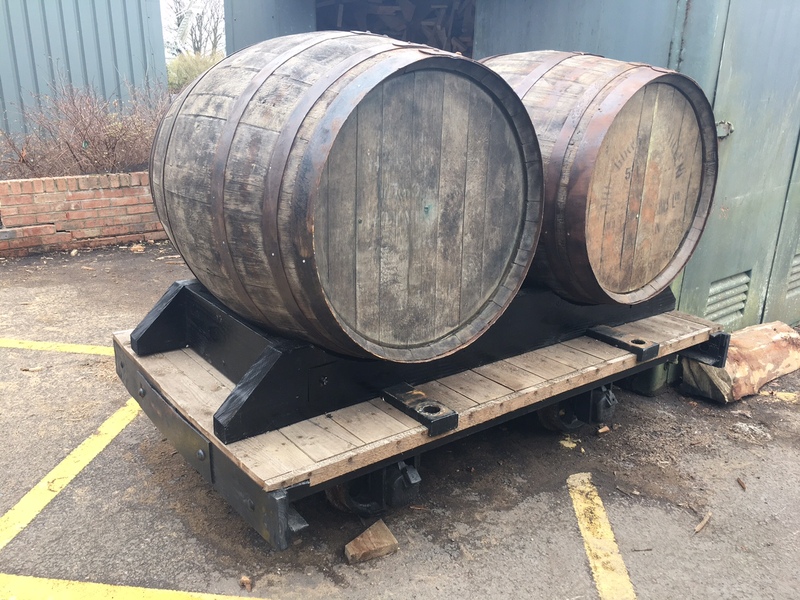 Behind it are the non-operational chaldron waggons. 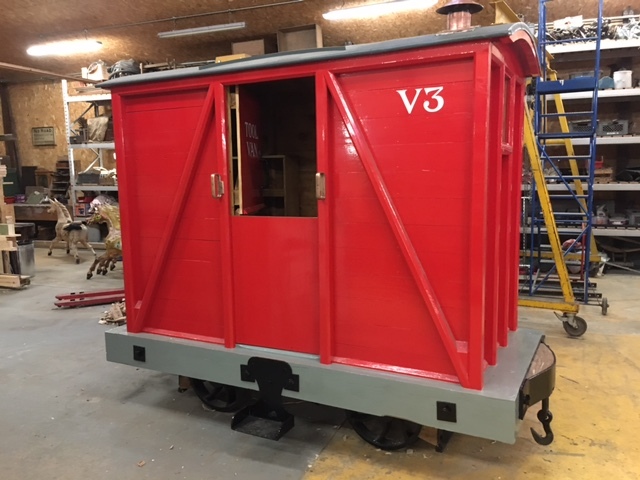 These have had cosmetic attention in readiness for display outside again. 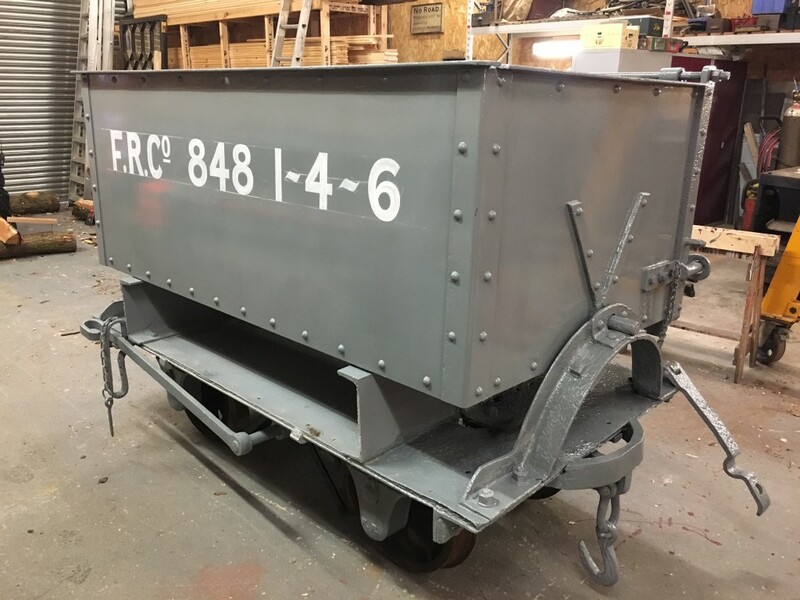 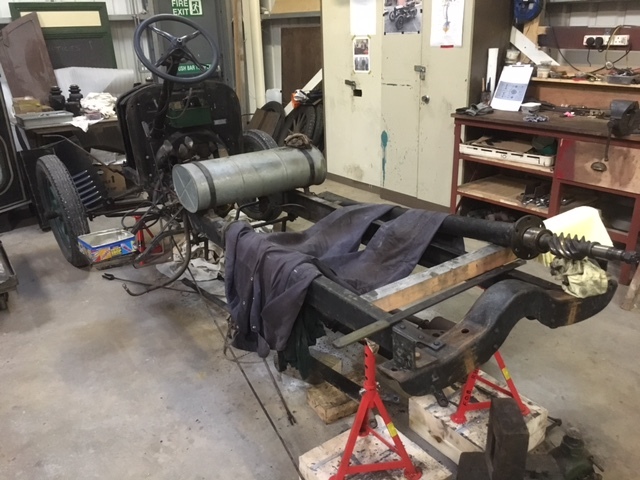 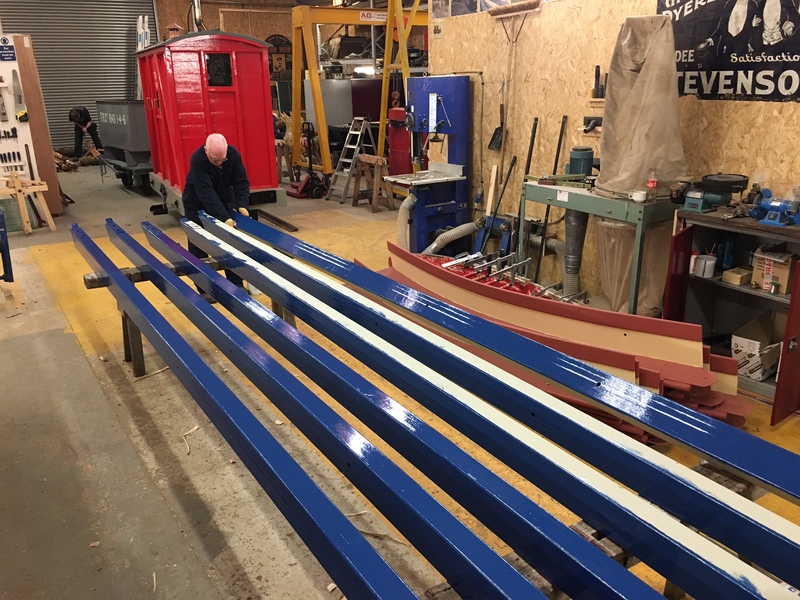 No.18 is awaiting new brake turnbuckles – chasing a deadline for these by the end of the week in readiness for its fitness to run examination and re-entry into traffic for next the steam fair. 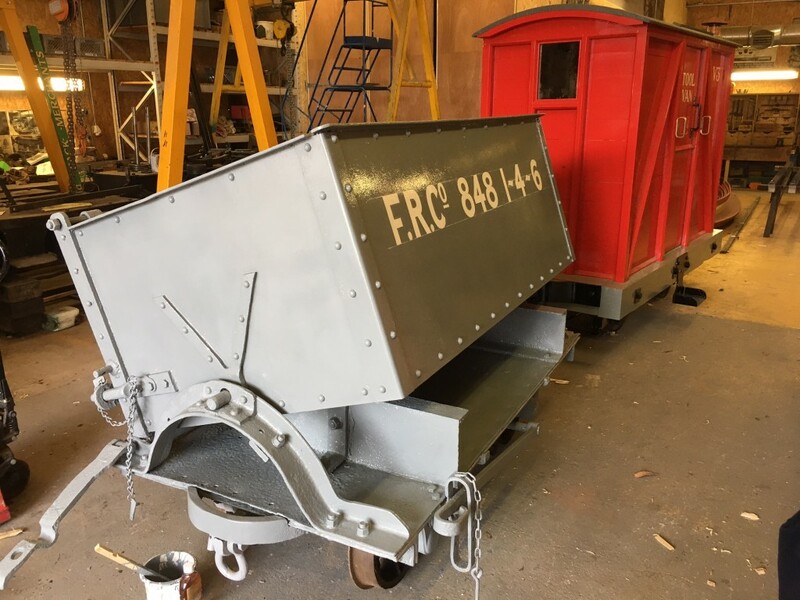 Below: The two bolsters on loan from the Apedale Valley Railway have been repaired, shot-blasted, painted and reassembled. 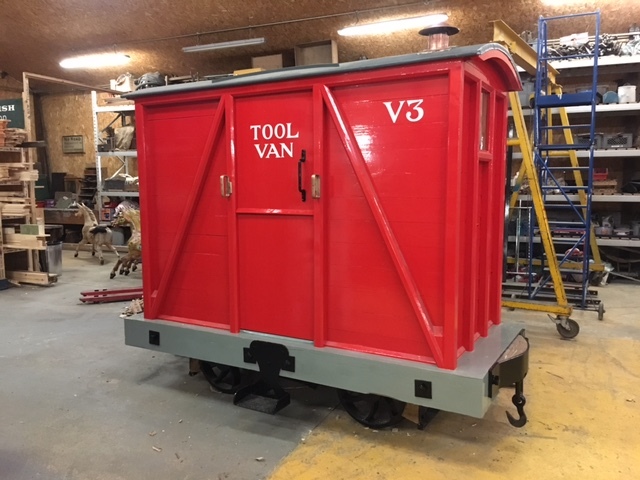 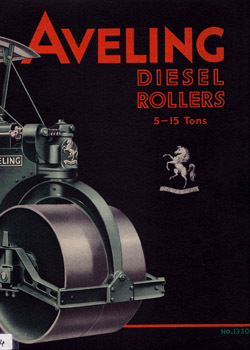 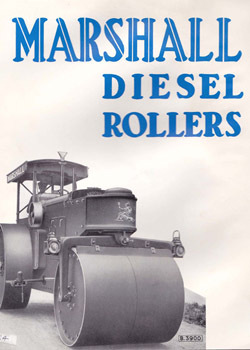 These will be carrying timber once again during the steam fair. 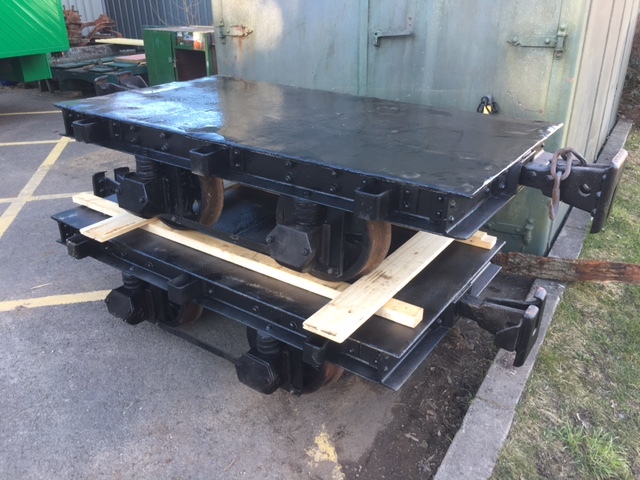 New coupling pins have also been made, complete with secondary fixings for safety. Below: In the RHEC the new framework (in steel) for the swing boats is being painted after Chris has spent the last few months manufacturing this sizable structure. 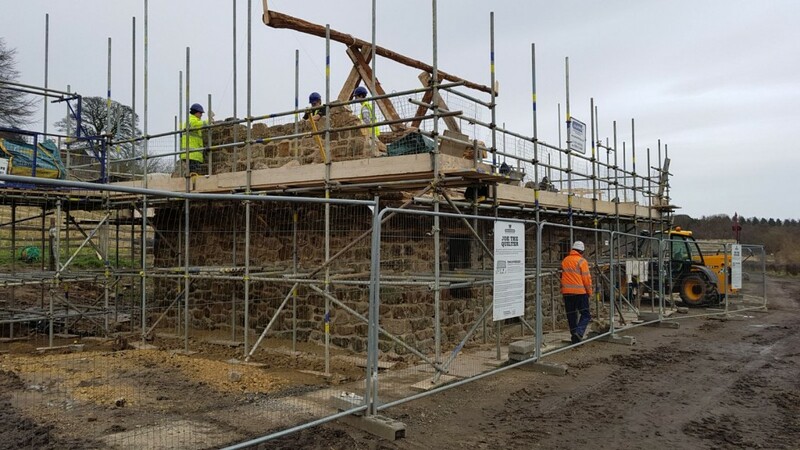 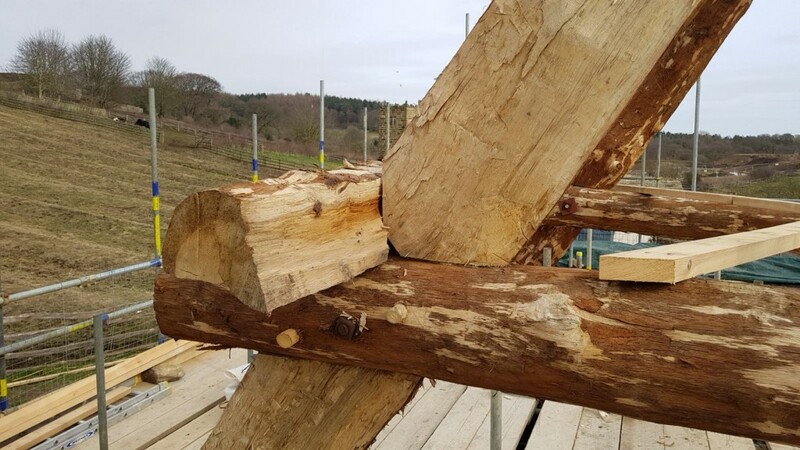 It will hopefully prove rather more resistant (to weather and visitors) than the wooden framework had done and should minimise maintenance in the years to come – the appearance being exactly the same as its previous incarnation. 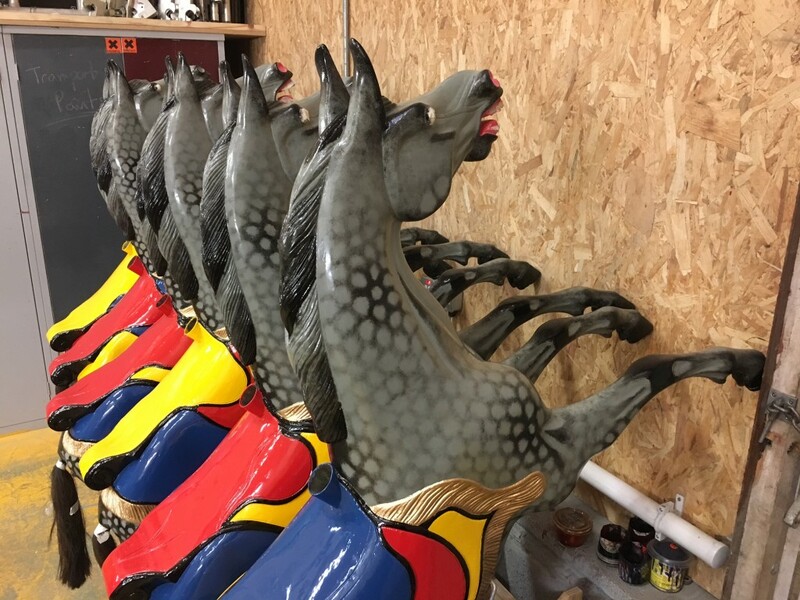 Below: Horses continue to progress through the production line as Rebecca works her magic on the 36 original wooden examples from our steam gallopers. 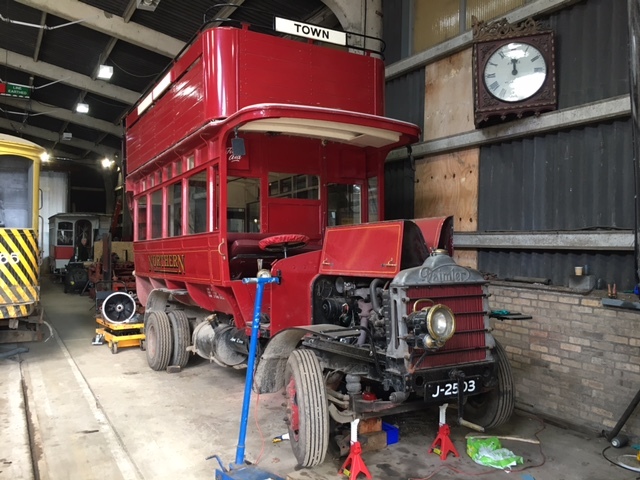 Below: Over in the tram depot, the D bus is being fitted with a new gearbox – Russell has been acquiring spare parts for this particular chassis, and this has paid dividends in ensuring the ongoing availability of this vehicle. 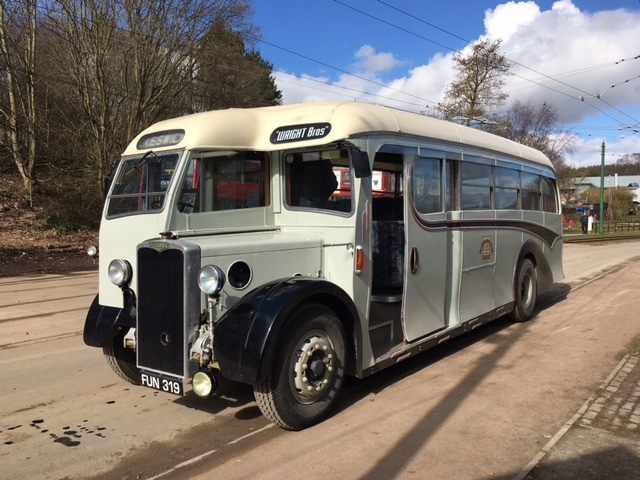 In due course we may have to consider an alternative chassis/drivetrain for this bus – built in 1987 it has now had a far longer (and possibly harder!) 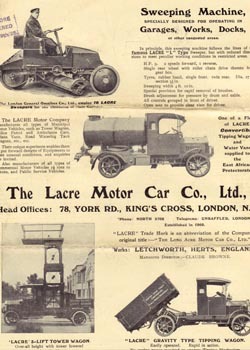 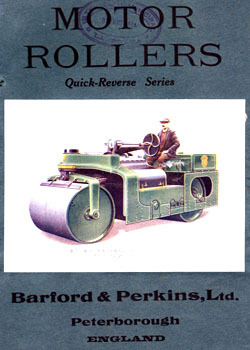 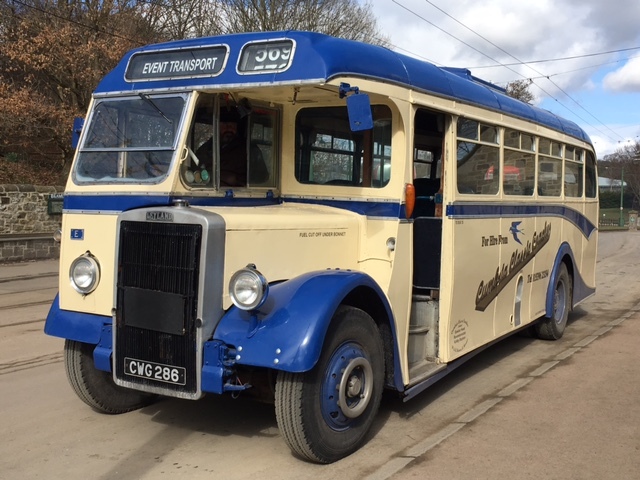 life than the vehicles upon which it was based – certainly the original J2503 which ran for only a matter of months as a bus for Gateashead Tramways before being handed over for military work (as a lorry) in the First World War. 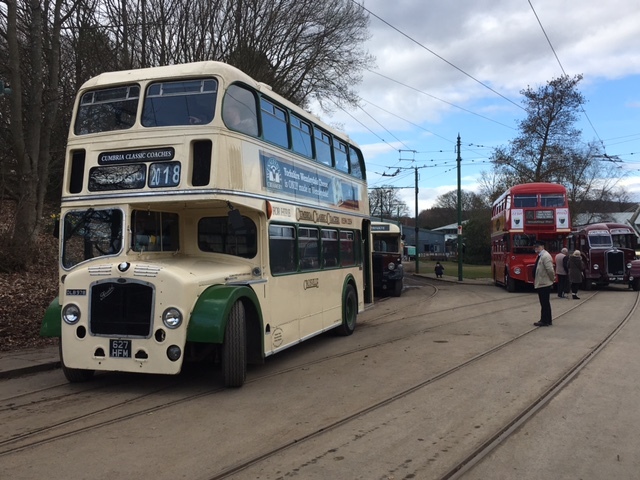 It will also regain the solid-tyred wheels as part of this current programme of maintenance. 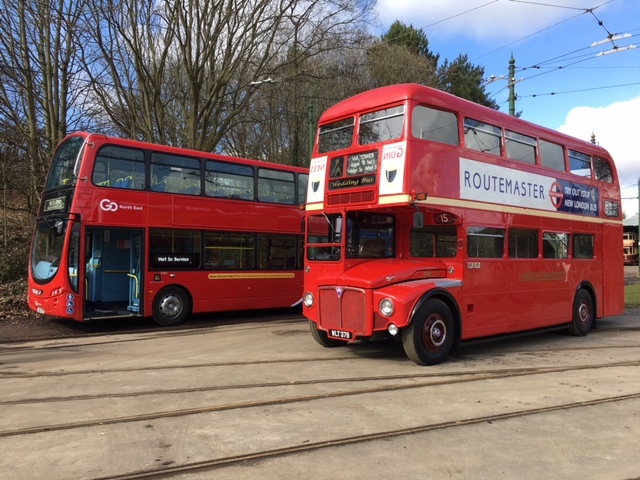 Below: The completed project, with the bus tested and inspected and receiving a clean ahead of re-entering service in time for Easter. 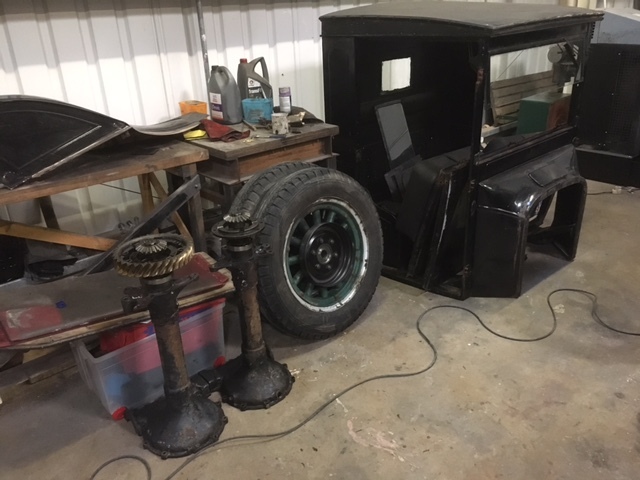 Below: John and Mike, who are the volunteers working on the Model T fleet, have now stripped the Ton Truck – seen here. 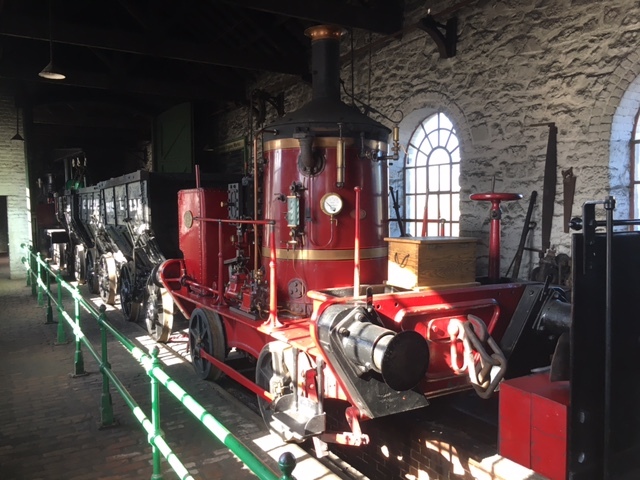 It is fairly tired (very tired!) 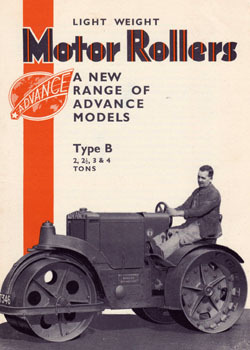 and will require extensive work to bring it up to the standard of the Crewe Tractor and Tourer (seen behind). 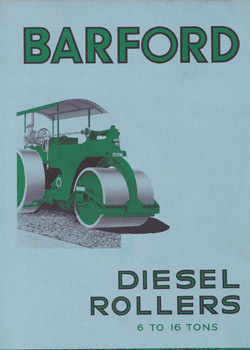 It will be outshopped with an C style cab in place of the American one previously fitted; and a refuse body in place of the dropside. 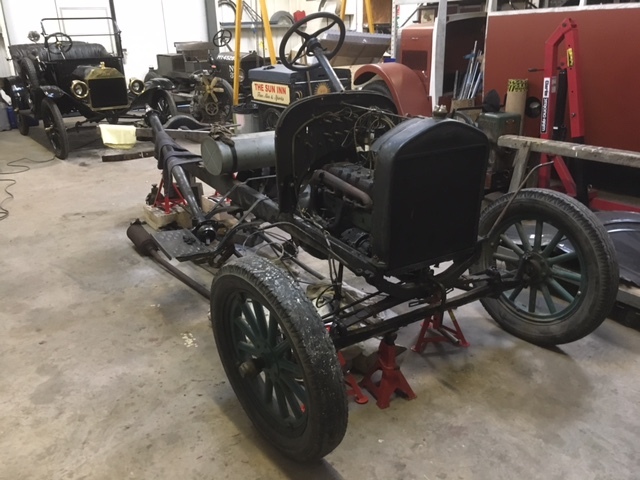 This will enable it to access parts of the site, such as the forthcoming Spainsfield Farm area, where modern vehicles are not desirable. 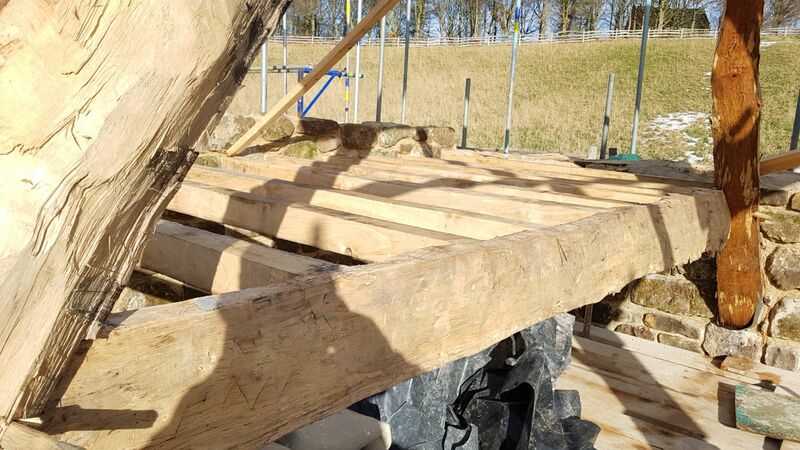 Below: Matt B also supplied these photographs showing the RHEC made components in situ. 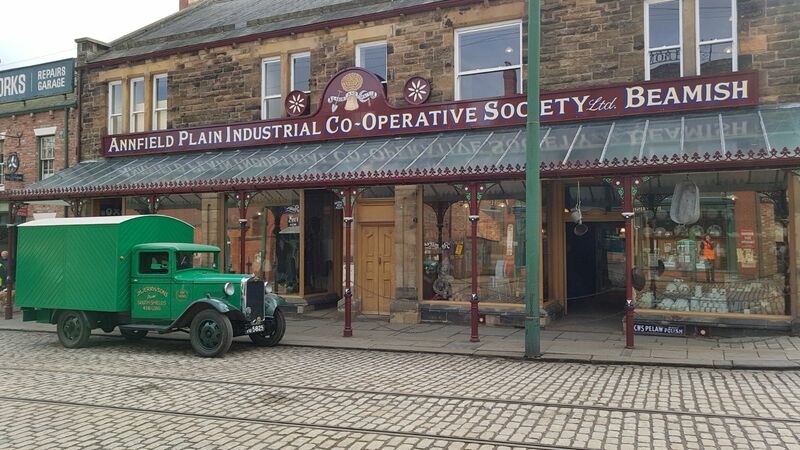 For those not familiar with this building, more information can be found on the main Museum website. The roof will be heather thatched, over a base layer of turf. 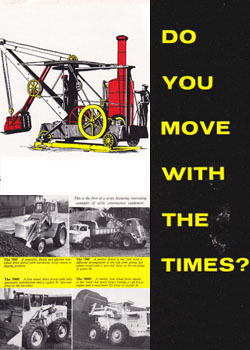 The style and construction reflecting materials in a fairly raw and primitive state. 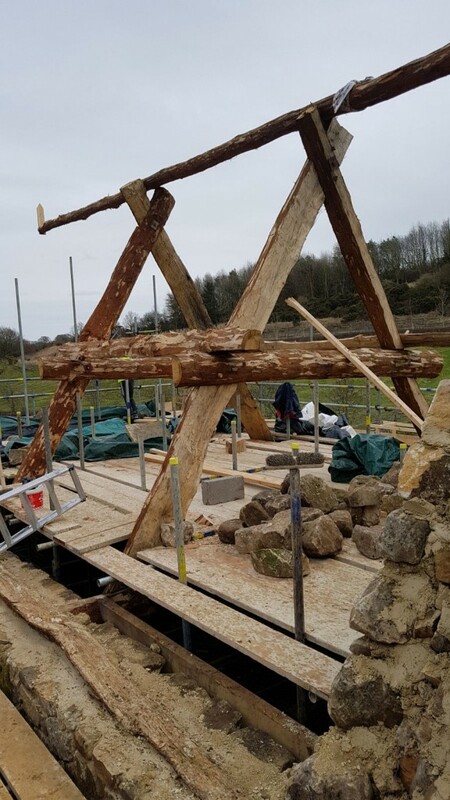 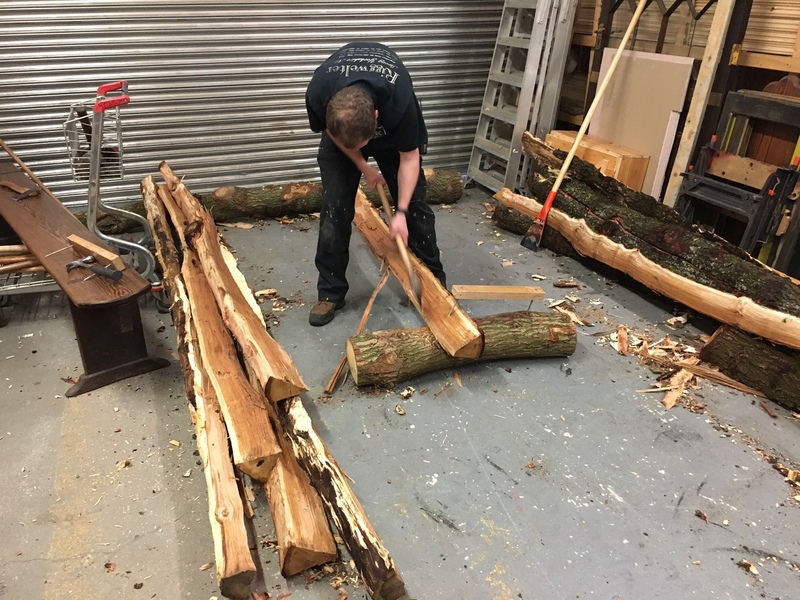 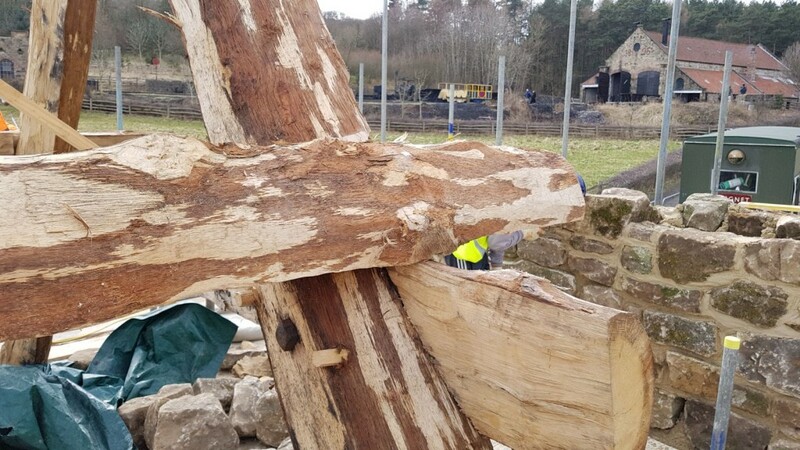 The construction is pegged together – the bolts visible were fitted to enable the timbers to be carried in one piece from the RHEC to the site. 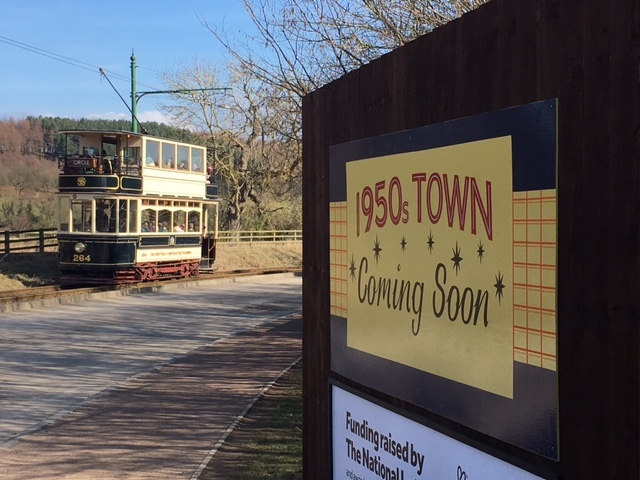 Below: In conjunction with the new developments, an extensive display of signage of an appropriate style (and both printed and signwritten) has been attached to the boundary fence along the 1950s development area in order to explain something of the plan and also illustrate some of the shops and amenities that we are building in this area. 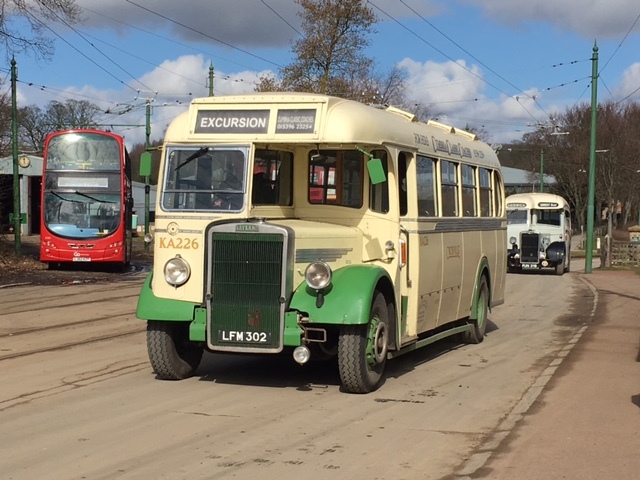 Sheffield 264 and the first real spring sunshine accompany this scene. 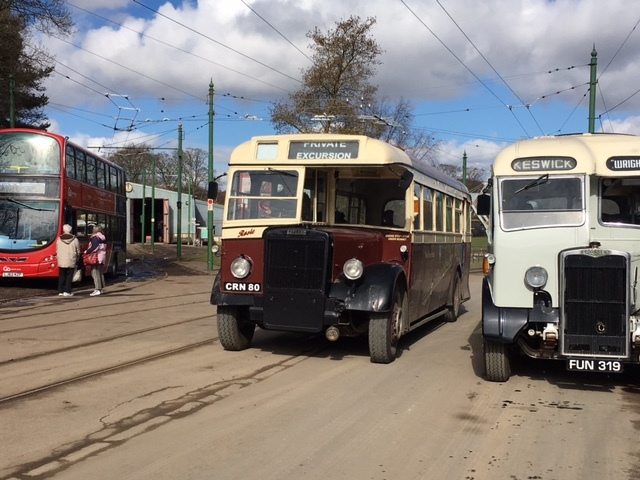 As the Old King Coal event has moved to June, a new idea was trialled this March – originally Pedal Power, but expanded to include buses, the event last weekend was considered successful and will, in a modified format, reappear in 2019. 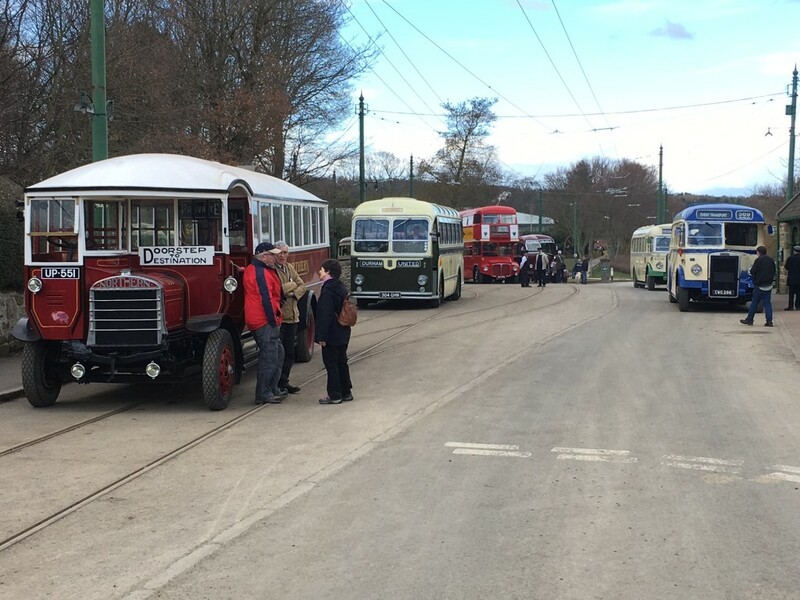 We had a number of visiting buses, both on display and in operation, giving us the best transport service we’ve ever operated! 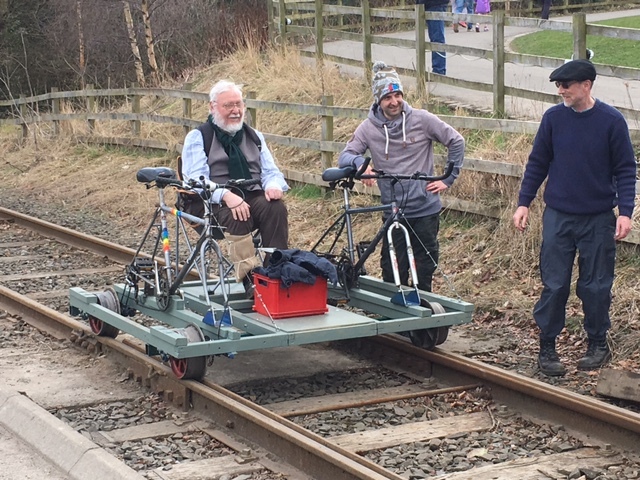 Part of the tramway was closed to trams so as to allow rail-cycles to be demonstrated on the reserved track sections. 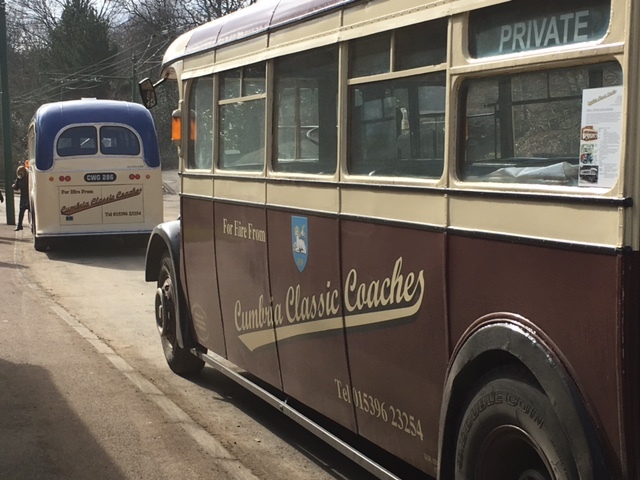 Cumbria Classic Coaches and the Aycliffe & District Bus Preservation Group sent vehicles, alongside some private examples as well as our own. 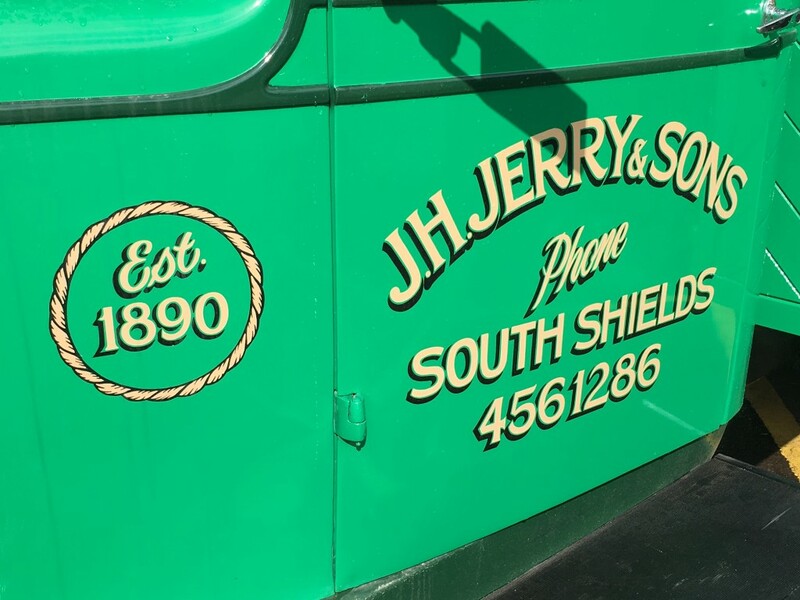 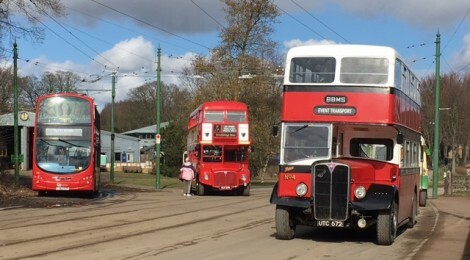 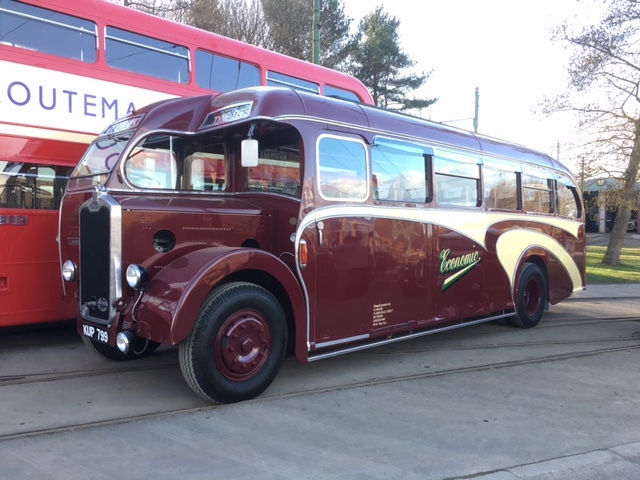 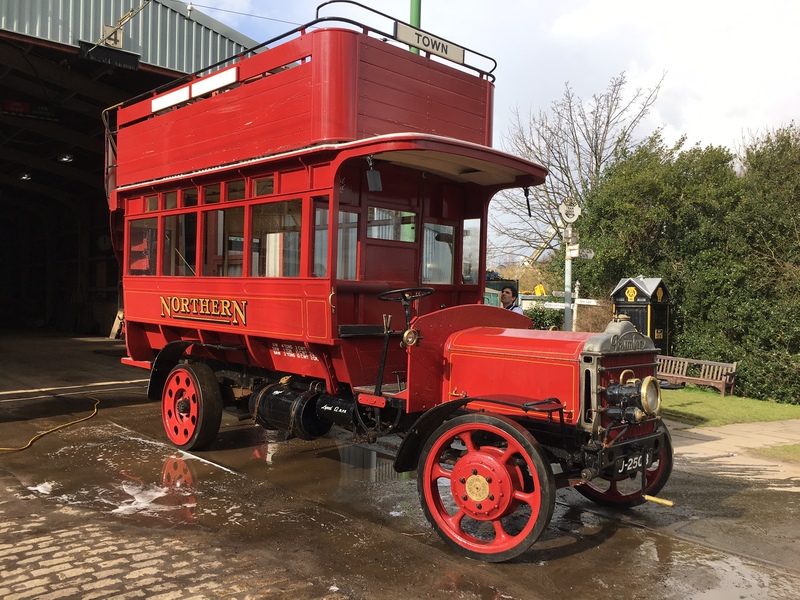 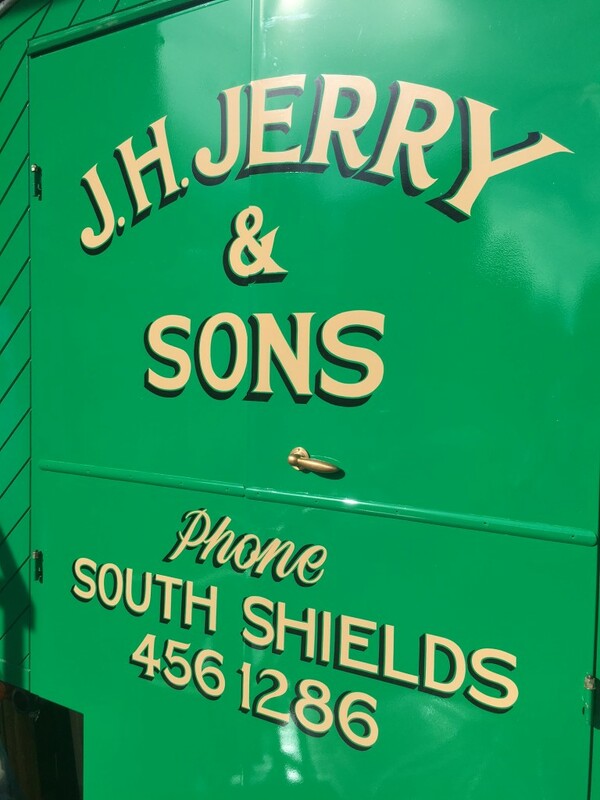 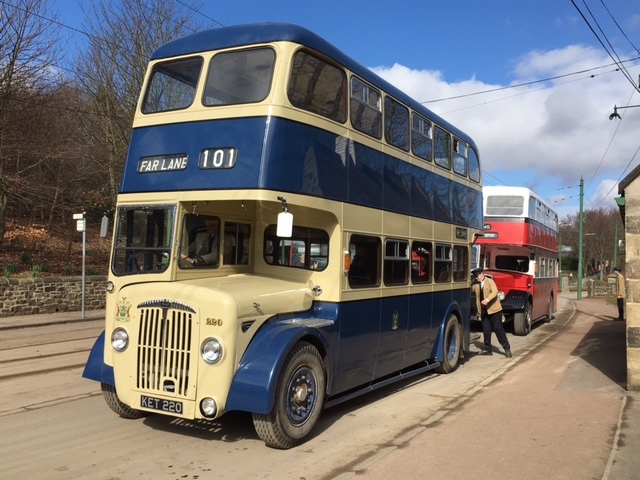 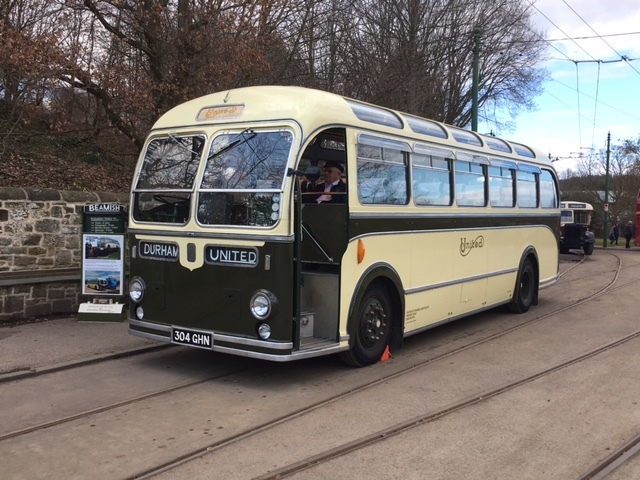 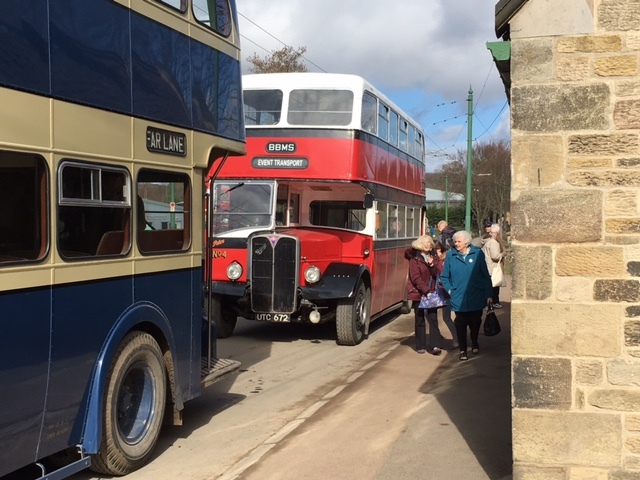 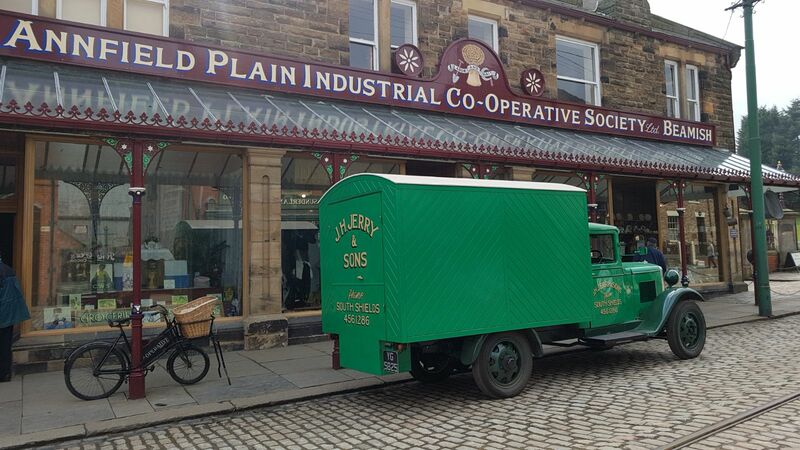 Hopefully for 2019’s event we’ll gave the new bus depot as a feature of the activities… Meanwhile, here is a sample of what could be seen during the weekend (more photos appear on Beamish’s Facebook page).